Combine tuna with mayonnaise and mustard. Wash and dry the lettuce leaves. 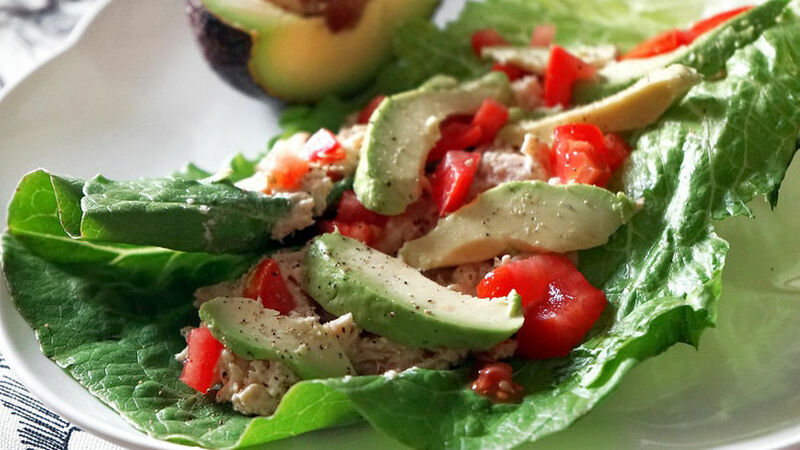 Add a tablespoon of tuna salad to a leaf and spread it out. Add avocado and tomatoes. You can also add hard-boiled egg to the salad. Is the beginning of a new year and that means that many people are looking for recipes that are light in calories to help with their resolutions. I’m not a fan of diets but I believe it’s important to balance our meals and take care of what we eat while still making it flavorful. Tuna is one of the most popular ingredients in low calorie meals. That’s exactly the reason for today’s delicious lettuce wrap stuffed with tuna salad.